This is a deciduous shrub. 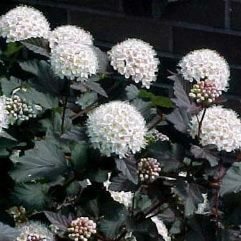 In spring, it has flat heads of spirea-type cream flowers about 20cm across. Gorgeous yellow foliage. Can be pruned if desired. 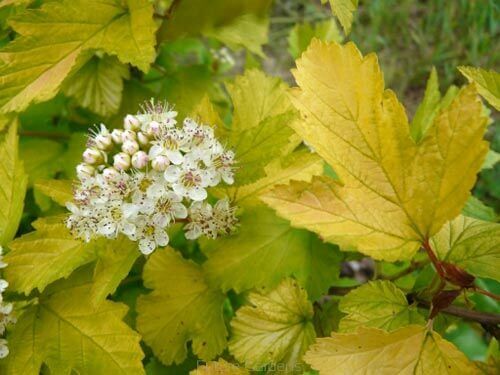 The older shrub's branches self peel, revealing different colours of bark underneath; hence the name 'Ninebark'. Height to 1.5m. Width to 1.5m. Full sun to part shade. 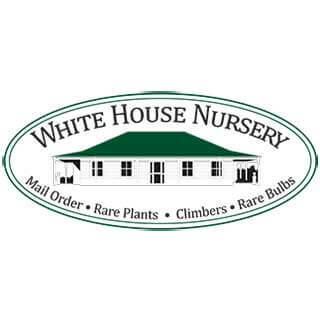 Great for pots, perennial borders or shrubbery.